Christian Dior. A designer of dreams, indeed. 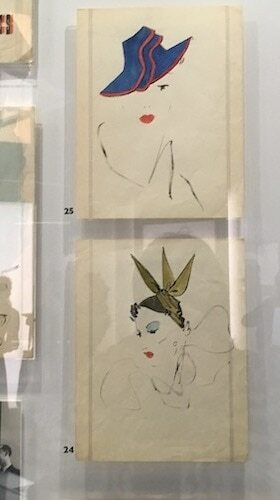 And the V&A’s exhibition in homage to the couturier is a magical, masterful wonderland. Giddy with excitement since first hearing of the show, so it delivered and with hand-beaded bells on. The show traverses the history of the fashion house since Dior’s first collection in 1947 – the era defining New Look. It continues with the six artistic directors who succeeded him. 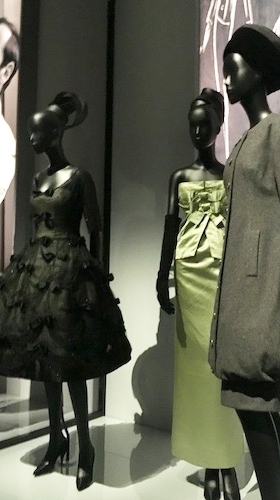 A re-imagining of Christian Dior: Couturier du Rêve that was shown at Musée des Arts Décoratifs, in Paris, it boasts a new section exploring the designer’s fascination with British culture, including collaborations with Dents, Rayne, and Lyle & Scott and Mitchel Maer. This is more than just a fashion show. With 200 haute couture garments and 500 objets – illustrations, samples, perfume, hats, shoes. It is split into 11 sections and provides a social history of post-war fashion, design and vision. 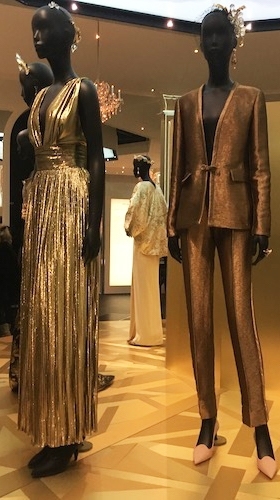 The first exhibit is the Bar Suit – the fulcrum of the New Look – and a slap in the face to the poverty and hardship that had gone before. The Christian Dior room is a biography of the artist from his childhood in Normandy to him founding the House of Dior in 1946 and onwards. 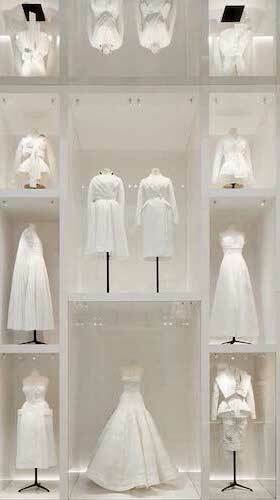 There are rooms showing The Dior Line – 10 defining looks of Christian Dior’s tenure from 1947 to 57. 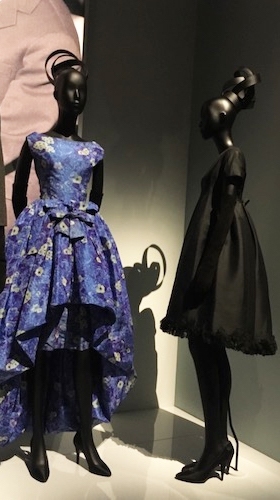 Dior in Britain spotlights his love of England’s country houses, balls, and grand hotels, with gowns that once belonged to Nancy Mitford, Margot Fonteyn and Princess Margaret. 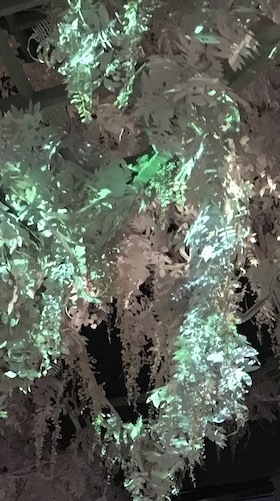 Others showcase his love of the Belle Epoque, travel and gardens – the Garden Room a wonderful space with paper roses and foliage tumbling from the ceiling. 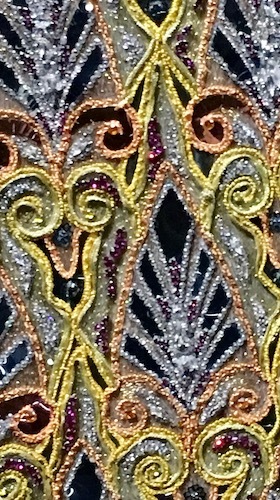 But it is the craft of the couture designs on show that is breathtaking, every piece hand cut, stitched, beaded, embroidered and finished. Seeing it up close is wonderful, as is the Atlier, a heavenly room, with mirrored ceiling lined in the houses’ toiles. 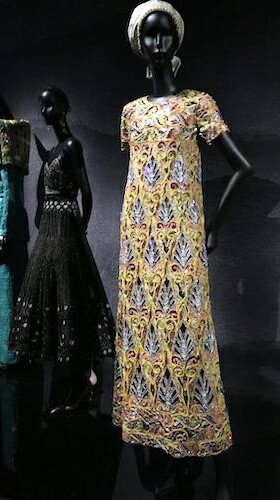 Designers for Dior switches attention to the work of those who took on Dior’s mantel after his death in 1957. First up Yves Saint Laurent and Marc Bohan, whose timeless creations remain as contemporarily chic as when they were first designed. Gianfranco Ferré, John Galliano, Raf Simons and today’s Maria Grazia Chiuri follow. 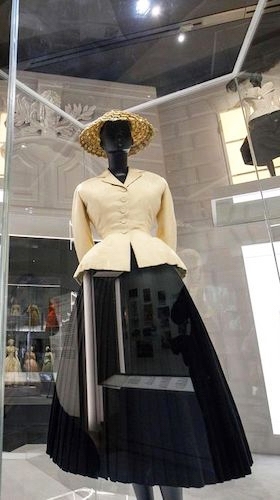 Beauty and perfume were also passions for Christian Dior and integral to the house since its inception. Diorama illustrates Dior’s total design vision with cases of colour-coded accessories, perfume bottles and collaborations. Dior was a superstitious man, who visited fortune tellers and mediums and believed in signs. The night before he was due to accept a position as head of another fashion house, he found a metal star on the pavement outside of the British Embassy in Paris. He took that as a sign that the time was right to open his own house. That star remained his lucky charm throughout his life. Christian Dior’s star has never shone brighter. Go and see it if you can.